Or you could just download 10.13 and not install it. Once downloaded, App Store will no longer bug you about it. And you won’t risk screwing something up in your computer. Actually, mine kept ‘asking’ me to install it. Daily. Finally took this route and hoping it will leave me alone. Actually (We’re in Mojave time already) MacOS keeps nagging AFTER MacOS 10.14 (Mojave) is fully downloaded. Not only that – it nags at the same persistence to ALL users on the Mac – even my “parental control” children’s accounts (who cannot install anything) and my Wife’s account which is not an administrator account – so again – she can’t install even If she wants to. I appreciate Apple’s growing disrespect of User’s will and wishes, and I really see how Apple becomes yet another “Microsoft” step by step – knowing better than me what’s good for me. This is no longer the computer “for the rest of us”. 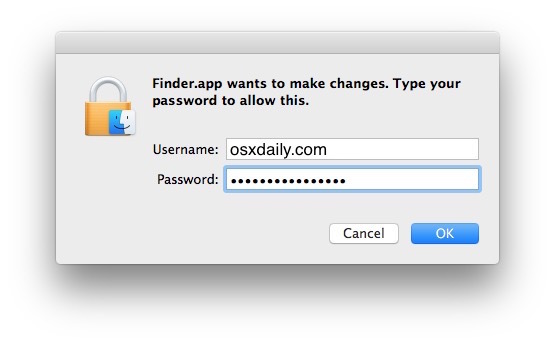 This “trick”, being really a hack to revert Apple system behaviour – serves as a proof to what I stated. MacOS now fights the user actively, disrupts their workflow, without a reason or even a chance to get what they want. Bye bye /Library/Bundles/OSXNotification.bundle… Here goes my Mac again. I cannot find “Bundles” directory under /Library. Do you know options to find the directory/file in my Mac? My current OS is Yosemite. Make sure you’re at /Library and not ~/Library – in other words it’s the system Library folder, not the User Library folder. I am at /Library but I can’t find “Bundles” under /Library. ¿? Oh my goodness, you have saved me! My 2011 MacBook Pro is on the fritz in so many ways, the last thing it needs is a new OS now. I’m in El Capitan 10.11.6 and have /Library/Bundles/ and the file, moved it and no longer see the aggressive update nudge so it worked as advertised. The key thing is to go to /Library/Bundles/ (the system folder) and NOT ~/Library/Bundles/ (the user folder), I suspect that is where some users find error. Did the same on Sierra 10.12.6. What versions are everyone on? I’m on 10.11.6 El Capitan too, and I have that folder. What the hell is happening at Apple! Why should there customers have to jump through hoops like this just to avoid an upgrade? thanks, I was waiting for that. I wish there was a way to do this for iOS. I don’t want iOS 11 and it’s tiring having to tap on Details, then on Remind me later each time the install prompt comes up. The only way to block an iOS update from ever showing up is to install an Apple TV beta profile onto the iPhone. I know, that sounds weird, but it works. The beta profile changes where the updates come from, but since tvOS can’t install onto an iPhone, it just stops the updates from showing up entirely. Anyone can do it, but you gotta sign up for the Apple TV beta program, download the tvOS beta profile to a computer, then send it to yourself to install on the iPhone or iPad… I have done this and it does work, but again you have to get the tvOS beta profile… some are available online but I would not trust any profile from anywhere but Apple… too much funny business out there. Oh well there is one other way to block iOS updates… blocking the IP addresses of all Apple servers on the router. But that’s going to prevent all network devices from getting any updates… so that is not so good. I tried this and it did not work for me. I’m still getting the notification except without the High Sierra icon. If I turn notifications to do not disturb, it goes away, but of course I lose all notifications. BTW, I’ve tried the various methods to prevent download of the HS installer and none of them work for me either. I’ll comment on the other thread with details. I have Yosmite, and it is heavily modified with many options removed. For example I completely removed the indexer, and all the index files. I removed a lot of apps that I will never use (iMessage, gamecenter, etc). I eliminated “mac turds”. Anyway, I do not want to upgrade simply because I do not want to undo all the mods. All that being said, I only have macOS so I can use Microsoft Office. I use Linux on my macbook most of the time. Somehow I managed to disable the nags. I guess ai just got lucky. This seems I’ll advised. Because you will also not get notified of important security updates! 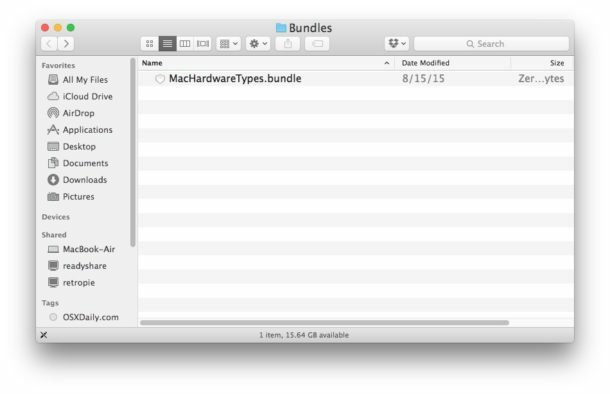 I am not finding a Bundles folder in 10.12.6 and 10.11.6. 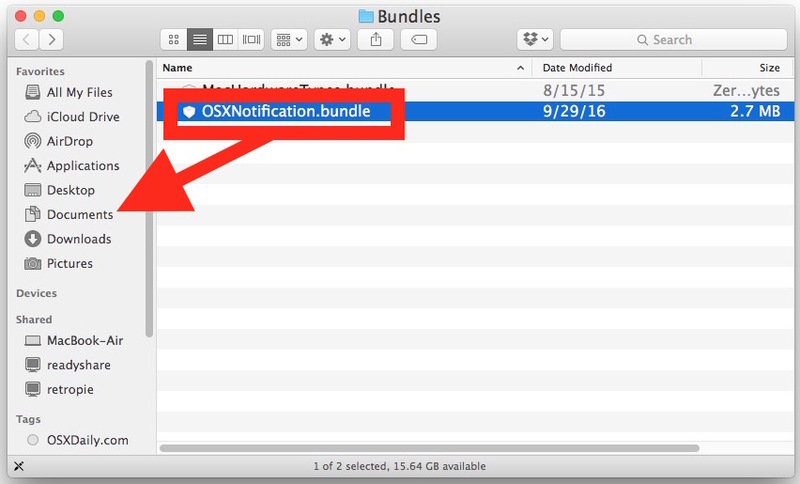 The Goto command says there is no file «OSXNotification.bundle» on my Mac. I am on 10.10.5 Yosemite. But I get these annoying reminder anyways. What to do? Wow, this seems pretty extreme. You can go to the Updates tab of the App Store application, right-click on the High Sierra update banner, and choose “Hide This Update”, and the notifications will stop. No they don’t stop unfortunately. All that does is remove the banner from the App Store, it doesn’t stop the OS from prompting you to update. In fact nothing seems to… I removed the Bundles file and still get prompted. Massively annoying. This didn’t work for me. I removed the file in question easily enough, but even after a reboot I’m still getting the nag. GRRRRRR. This only removes the icon from the notification. The spam nag notifications are still there. Does anyone have a working solution? In my case only the icon is removed too. The notification is still there. Thank the Lord!! I was going insane. This was my 5th attempt trying to stop this wretched pop up. Mind explaining where either the “Go to Folder” menu item is, or where I can find the “Bundles” folder? High Sierra, 10.13.3, none of what you say is there is there. When I try the terminal approach, I get the error message, “No such file or directory.” And yet, I am still getting the nag box at least once a day. These giants are controlling our behaviours, our needs and our life from a distance. So because of the conflict between their software (and because of their business strategy of complicity?) I cannot use my Maverick laptop anymore. It would not even turn on, so I could not delete Office 2011 and continue enjoying it. Moreover, it is difficult to motivate Apple Genius to help me start on safe mode. Didn’t work, sadly. Have just switched off Notifications. I think I can cope . . . I think they have patched things at Apple to supersede this tip. It no longer works for me.